Let’s just start by saying I bought this palette three days ago and am ABSOLUTELY OBSESSED. As someone who owns a hundred other highlighters, not including the 3 ABH glow kits, I convinced myself I did not need it. Well I didn’t do a great job convincing myself since I grabbed one instantly after swatching it in Sephora the other day. Let’s talk about this palette before diving into the swatches. 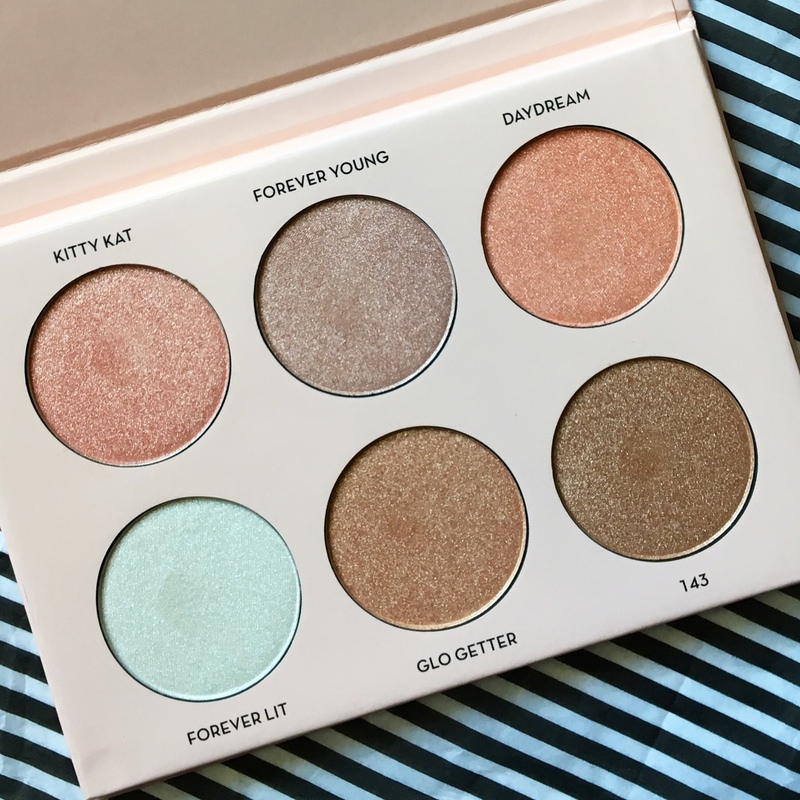 Anastasia Beverly Hills collaborated with youtuber, Nicole Guerriero to create this palette. 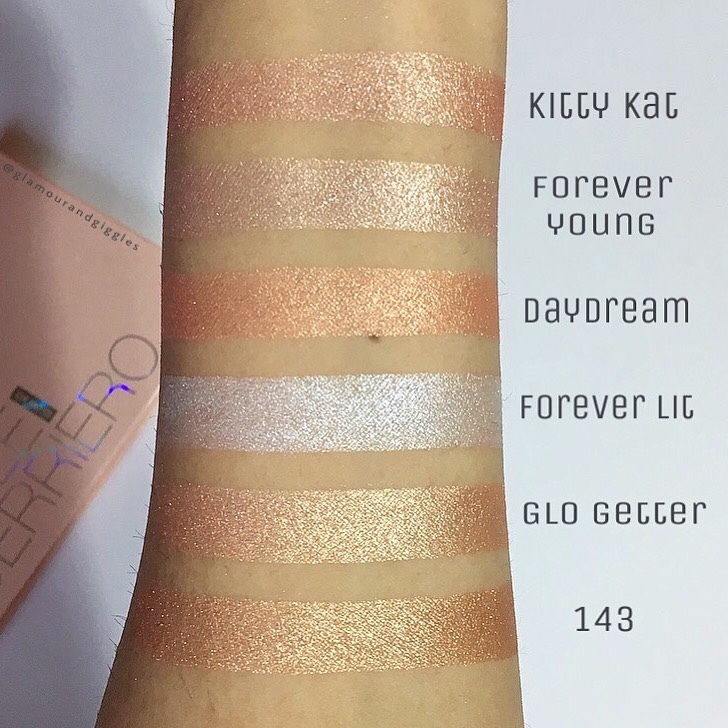 It features six metallic powder highlighters to provide a stunning, luminous glow. You can use a damp beauty sponge or brush to get an even more intense highlight! Formula: The formula is really fine, smooth and blendable. These don’t look chalky or powdery at all and the shimmers don’t look chunky on the skin either. What I really love about this palette is how wonderful the shades will look on so many different skin tones! I feel like I can rock all six shades with my medium/warm/olive skin tone. Plus, the possibilities are endless since you can create so many fun shades by mixing them up! I’ve been mixing Glo Getter and Daydream the past three days and LOVE it the combination! I highly recommend this palette to anyone who’s looking for fun, new shades to try out. Or if you want to add a new palette to your collection – THIS. IS. IT. Grab yours at a local Sephora or purchase it online here! I love shimmer on my eyeshadows. That palette is just out of this world!